According to Automotive News, one-quarter of Toyota Motor Corp.’s U.S. sales by the end of the decade will be hybrid vehicles, Jim Press, president of Toyota Motor Sales U.S.A. is reported to be saying. Toyota already has 10 hybrid vehicles under development for global markets, in addition to the ones it already has launched, Press said. Those will go on sale between now and the end of the decade, he said. Hybrids could account for “10, 12 or 15 percent” of industry-wide sales by the end of the decade, he said, adding that he could not be specific about the percentage because he did not know what other automakers had planned. However, “the demand will be there,” Press said. As a very interesting development, Press gave a hint of an option yet to come - power boosting. He said it is possible that future hybrid owners may be able to choose whether they want to see improved mileage or performance from a hybrid powertrain, by pushing a button on the instrument panel. The US discovers that when prices go down, sales go up! With GM, Ford and Chrysler all offering big discounts to lower the price ticket in the showrooms, the Big 3 were shaking hands with themselves after recording a record-breaking July sales month. However, according to Automotive News, Toyota Motor Sales U.S.A. Inc. and Nissan North America Inc., also posted their best sales month in the US. They were not the only ones, as DaimlerChrysler, including Mercedes-Benz, sold 260,945 units in July, a boost of 25.1 percent for the month. Year-to-date, the automaker has sold 1,547,536 vehicles, up 6.9 percent from the same period in 2004. GM said its July sales rose 15.2 percent, boosted by the GM Employee Discount for Everyone incentive program. But there are more telling figures available. For the year, GM has sold 2,844,839 vehicles, which is only a 4.3 percent increase from the same time last year. Similar “Employee pricing” gave Ford Motor sales a much-needed 28.5 percent increase for the month and triggered record monthly sales for the Ford F-series pickup. Ford numbers include Aston Martin, Jaguar, Land Rover and Volvo, but not Mazda. However, here is the ‘real’ situation. July sales for Ford Motor lifted the automaker’s year-to-date sales total to 1,974,377, which is only 0.2 percent better than 2004. Toyota sales, including Lexus and Scion, jumped 8.1 percent with a total of 216,417 vehicles, bringing its year-to-date sales to 1,330,487, a 10.4 percent increase from the same period in 2004. This puts GM and Ford still well behind the 8 ball. Other comparisons include American Honda Motor Co., including Acura, which posted an increase of 10.3 percent for the month but only 2.4 percent for the year. Hyundai Motor America sales, including Kia, climbed 10.5 percent in July, and for the year, it is up 8.2 percent. Nissan said combined Nissan and Infiniti sales in July were 15 percent better than last July, bringing its annual total for the year so far to 650,021, which is 14.8 percent better than its year-to-date sales in 2004. And that’s a number to be crowing about! BMW, including Mini and Rolls-Royce, had a strong month, reporting an 11.4 percent sales increase, but again when you look at the YTD figures that are only up 2.4 percent so far this year. Those are some of the positive growth figures, but not all the majors had reason to celebrate. Volkswagen’s U.S. car sales declined 12 percent to 28,857 units in July. That brought U.S. sales for the first seven months to 164,972 units, down 16.5 percent. Those numbers include Audi and Bentley. Isuzu and Mitsubishi continued their headlong rush downwards, with Isuzu recording a 51.3 percent fall compared to the seven months in 2004, while Mitsubishi went down 32.6 percent in the same period. Analyst David Healy of Burnham Securities claimed that “the perception that American companies still produce garbage, as they actually did during much of the 1970s and 1980s, is proving most difficult to eradicate. The poor quality of many of these old models has bred a new generation of car buyers who would never consider entering a domestic brand showroom,” he added. 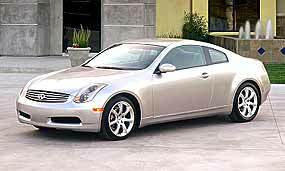 GM and Ford both said that they are trimming sticker prices for many vehicles in the 2006 model year. 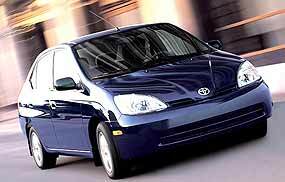 By contrast, Toyota has said its 2006 prices will be slightly higher. Now there’s a company with confidence in its product line-up! Here are the comparative figures for the seven months of 2004 against 2005. I believe they show the true growth of the brand or otherwise. Obviously the figures from America do not correspond exactly with the Thailand situation, where for example, the Chevrolet Colorado seems to be a top seller, and Isuzu pick-ups are everywhere, but the figures do show the strength of the brands in the world’s largest marketplace. Or their weaknesses! Despite the doomsayers, the A1 GP series looks as if it will be very strong, even in its first year. The first two day test held at Silverstone in the UK had 16 cars running and all 16 showed ultimate reliability from their engines and chassis. The top 10 cars were within a second of the pole sitter. As opposed to the usual Schumacher versus Alonso concept, since each car represents a country, it was the UK that was the quickest, followed by Brazil! Countries ‘in’ at this stage include Australia and the UK, Pakistan, India, Indonesia, Malaysia, Japan and China, South Africa, Egypt, Bahrain, UAE, plus Sweden, Germany, France, Portugal, Spain, Italy, Greece, Turkey, Russia, Canada, USA, Brazil and Argentina. A1 Grand Prix series presents a level playing field. The cars are identical single-seater A1 racing cars, built by Lola, and powered by identical 550 bhp Zytek A1 Grand Prix V8 engines. To keep the playing field level, no driver aids are allowed. No driver aids! Is this not what we have been calling for? We, the viewing public, want to see the drivers change gears and use the clutch, just like we do. We want to see them manage their own starts, none of this “Renault have better starts than the other cars” rubbish. We want to see if driver B can get the drop at the start better than driver D.
To maintain the level playing field, so there is no more of the Bridgestone versus Michelin debate, there will be one tyre supplier, which is Cooper Tires (Avon), who have been supplying Formula 3000 for the past years, so they know what they are about too. To keep the world informed, TV coverage is also in place with Sky Sports taking up broadcasting rights. Full coverage from each round of the international FIA sanctioned series will be broadcast exclusively live, with practice sessions, qualifying and the races themselves. So how do you get Sky Sports? Better start asking around. The A1 Grand Prix series looks like it will provide the spectacle that the motor sport enthusiasts have been calling for, and with the strong Asian and African involvement, as well as the usual Europeans, we will all have a ‘local’ team to barrack for. Ford to push the Ethanol engine? In the middle of all the “save our planet” broo-ha-ha, complete with opposing ideas on how to manage the “dwindling” oil stocks, one energy source being touted is ethanol (also known as ‘alcohol’ in some areas, though I have it on good authority that the current crop of auto engines do not run too well on Chang beer). Ethanol mixtures have been used for many years, especially in America, and also in some forms of motor sport. Basically, the difference between “gasohol” and usual gasoline is the addition of between 10-20 percent alcohol. Since the alcohol comes from agricultural sources such as sugarcane, corn and cassava, the idea is that the energy is one we can produce without using fossil fuels. Whether this does save fossil fuel depends a lot upon whether farmer Somchai uses an oil burning tractor, or a chaff burning ox! However, there are many countries that are using gasohol successfully, including Brazil, North America and Sweden, and Ford Motor Company has been supplying gasohol compatible E20 engines for these countries. Now there are mutterings that Ford Thailand could also start producing the E20 engines here, but there are many factors to be considered before this would be a reality. Forgetting government taxation reliefs (which by the way would determine price structure of the vehicles, and the viability of the project for Ford Motor Corp) there are other problems for the gasohol producers, such as ensuring an adequate supply of corn, and also getting over a perceived buyer resistance. Popular press is currently inundated with items about gasohol, including people claiming that the fuel destroyed their engines, and guarantees from gasohol producers that the fuel won’t harm today’s engines at all. While the confusion rages, I suggest you just sit back and have another glass of ethanol, and adopt a wait and see policy! Last week, I asked what was the number plate of the Rover Jet car? Now should have been really easy! The answer was Jet 1. So to this week. There was a tractor, built in the UK, which shared an engine with two of the popular sports cars of the day. What were the names of the sports cars? Now that should have you happily Googling for a while!